While 30-50% of adults are sleep deprived every day, many students are not getting a good night's sleep every night either. One cause is bad dreams and even night terrors. Here's a fun and simple way to help Kindergarten through second grade students create a "Dream Channel Changer" to help them be proactive and decide which dreams they would like to experience that night. Here's a blank Dream Channel Changer and here's a sample to download. Students can write and/or draw what dreams they would like to experience when they sleep. Before going to sleep, children can review their Dream Channel Changer to decide which dreams they want to experience while they sleep. If they have a bad dream and awake, they can simply change their channel to one they prefer and return to sleep. This way, they are in charge of their dreams! Here are some fun ways for children to decide what channels they want to include on their "Dream Channel Changer:"
Write or draw pictures of themselves doing fun activities (real or imagined). Cut out pictures from magazines or newspapers. 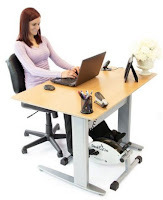 Search for clipart on the Internet. Consider favorite animals, places, people, sports, celebrities, foods, movies, etc. 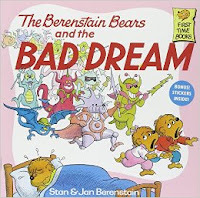 The Berenstain Bears and the Bad Dream (and 12-min. video available on YouTube) is about how Brother Bear and Sister Bear learn how to have good dreams as well. Globetrotters aren't just about smiles and games. 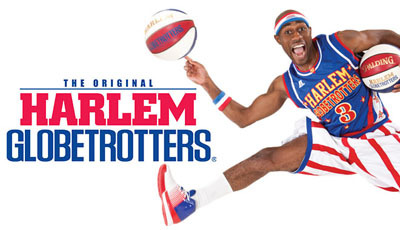 The Harlem Globetrotters do much more than spinning basketballs and shooting 4-point shots. They have been making a difference since 1926 on and off the court. The Globetrotters introduced Nat "Sweetwater" Clifton as the first African American basketball player to sign a contract with the NBA in 1950. Lynette Woodard was the Globetrotter's first female player in 1985 who won a gold medal in the Olympics and joined the new Cleveland Rockers in 1997 with the WNBA. 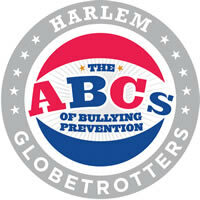 As part of giving back to the community on their tours, the Harlem Globetrotters regularly visit schools to promote their "ABC's of Bullying Prevention." In collaboration with the National Campaign to Stop Violence, the Globetrotters teach Action, Bravery and Compassion in their school programs. For more information about the program, visit their website. 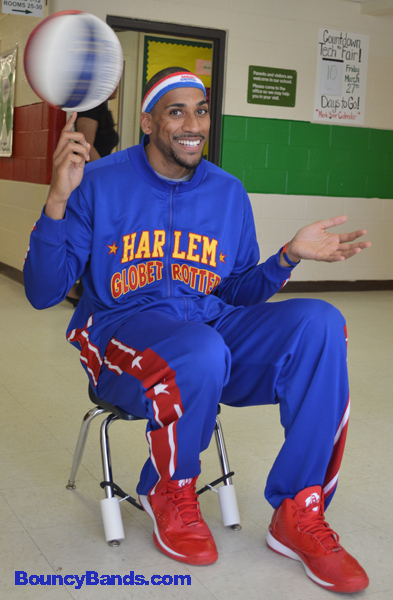 Julian "Zeus" McClurkin recently performed at Greene Elementary School in Greensboro, NC and I was able to interview the NC A & T graduate about his rookie year with the Globetrotters. 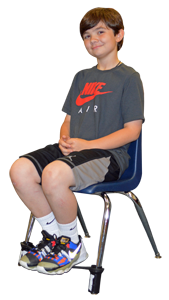 He shared about his passion for helping children dealing with bullying. He laughed when he shared that kids can't believe that anyone would bully him--since he's 6'8" and 220 pounds. But he shared how bullies can attack any size, shape, or color. 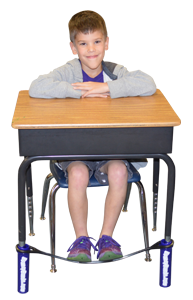 His emphasis of coming from a space of compassion is the true solution to bully prevention. It's no surprise that even though he has his MBA, his true passion is his ministry. 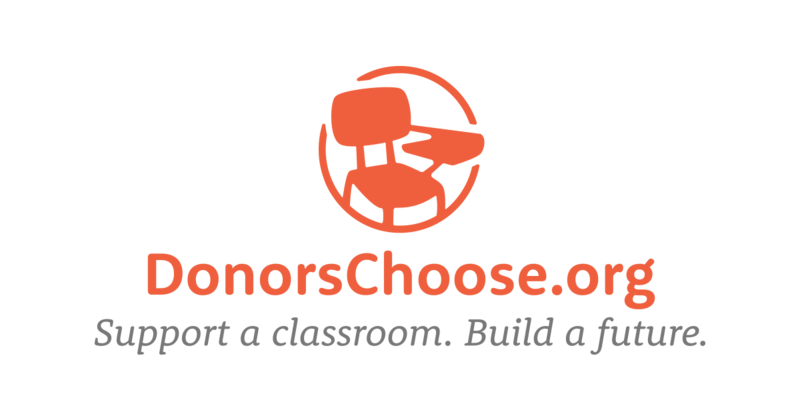 When I showed Zeus a Kindergarten chair with a Bouncy Band, he promptly tried it out and commented, "I wish I had Bouncy Bands when I was in school. 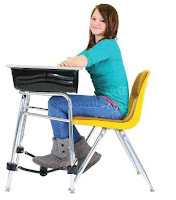 Even now, I like to bounce my feet when I sit. 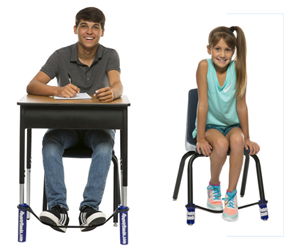 I can see a lot of kids who would love these!"